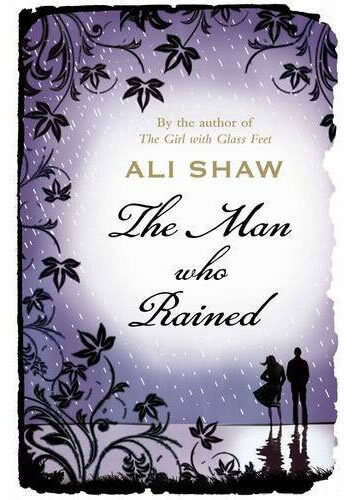 If you’re looking for a romantic read for Valentine’s Day, my recommend is for ‘The Man Who Rained’ by Ali Shaw. 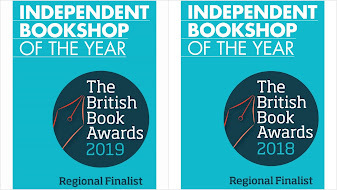 This is a classy love story, full of atmospheric writing and an unusual romance set in a wind-blasted place, which is full of unexpectedly beautiful creatures – such as horses made of mist and water – and a stormy tale of two damaged people who heal when they come together. Elsa Beletti, suffering after the death of her father in a lightning storm, seeks a fresh start and chooses somewhere remote and wild to cut herself off from the world. Thunderstown – a town with too many legends for anyone to remember them all. A town with secrets of its own and a people forever battling with the elements. Elsa meets a strange local boy, living outcast and wild in the hills. What she doesn’t expect is that in Thunderstown, everyone believes the weather is alive – they fear the mountains to be slumbering gods and floods to be a vengeance. Finn tells her he is part man, part weather and he is similarly feared. But Elsa, who has always looked at clouds as if they are a landscape that should be explored, not only believes him and isn’t afraid, but falls in love. But can she be safe with a man who believes he is only half-human? The idea of someone being taken over by magic is a familiar theme to Ali Shaw. His debut, ‘The Girl with the Glass Feet’ was up for many awards, winning the Desmond Elliott prize. So this has been a long-awaited second novel for me. Ali Shaw weaves his magical elements with skill and understanding. Is Finn really only made of weather? Or is everyone partly a victim of the elements? Ice makes him feel down, anger causes lightning strong enough to hurt people? It’s up to you what you believe. This seemed less melancholy than his debut, but takes you on a similar journey of the imagination, with people escaping their pasts into landscape. When Finn is happy little wisps of cloud appear around his head. When the couple make love there are rainbows. And who can resist a hero who insists he is a human form of a thunderstorm? One of the things I particularly love is the sense of the town, nestling between barren mountains, full of small-town superstition and prejudice, its townsfolk looking everywhere for someone to blame for the harshness of their lives. You can feel the rocks where grass should be. The wind that feels not like one, but many, ‘each wrestling to claim its own space and territory’. There is a local culler, who is called upon when weather-filled animals intrude on the town – as if with enough determination they can all be exterminated and the town freed from being at the mercy of the elements. Daniel, the culler, forms another thread of the romance of the story, which keeps the tangible elements ticking along with a good pace alongside the mystery and magic. And I can certainly find time in my schedule for a book that features sunbeams that turn into birds. There is definitely something very magical about Ali Shaw’s writing. I am delighted to say that Ali Shaw is soon coming to Abingdon as a guest of Abingdon Writers. Abingdon is lucky to have such a lively supportive group that meets regularly for chat and critique and the group is actively seeking new members. So if you want to find out what they are all about, or hear Ali Shaw discussing his work, it would be great to see you there. 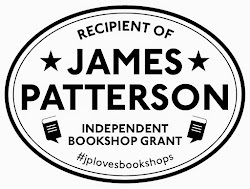 We have tickets at Mostly Books. Thank you for the link - your review is brilliant too. I agree it's less melancholy than his debut - there is the potential for a happy ending which makes it more positive.